English is one of the international languages. It has an important role in the world. Most people use English to communicate with other people from other countries. Science, technology, art and culture development also cannot be separated to the role of this language. For those reasons English has been taught at every level of education in Indonesia as the first foreign language (Ramelan, 1992:3). Since English has become an urgent need in Indonesia as a means to develop Indonesian people quality, it is taught earlier at school beginning from elementary schools as a local content up to third grade of senior high schools. But unfortunately even though various methods and approaches have been tried out to reach the purpose, the result has not been satisfactory yet. The objectives of English teaching cover the four language skills: listening, speaking, writing, and reading through the mastery of the language components: vocabulary, grammar, and pronunciation. 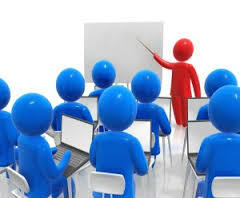 As we people know that final result of teaching is affected by some factors, they are: learners, the teacher, time allotment, material, the use of visual aid, methodology, teaching material and interaction between the teacher and??? Belum ada tanggapan untuk "THE TEACHER AND LEARNER TALK IN THE CLASSROOM INTERACTION"